185 Marlborough is located on the north side of Marlborough, between Dartmouth and Exeter, with 183 Marlborough to the east and 189 Marlborough to the west. 185 Marlborough was designed by Peabody and Stearns, architects, and built in 1884 by Andrew Anderson, carpenter, and D. Connery & Co., masons. The house was designed to complement 183 Marlborough designed by Peabody and Stearns and built two years earlier. While different in almost every detail, the massing and arrangement of the façades creates a unified effect, aided by similar (but not identical) balustrades. 185 Marlborough was built for dry goods merchant Edward Sturgis Grew and his wife, Annie Crawford (Clark) Grew. They previously had lived at 132 Marlborough. He is shown as the owner on the original building permit application, dated March 27, 1884. They also maintained a home, All Oaks, in Manchester. Edward Grew purchased the land for 185 Marlborough on November 23, 1883, from the heirs of James Lawrence. It had been part of a larger parcel owned by James Lawrence that he and Thomas Jefferson Coolidge had purchased on May 31, 1872, from the Commonwealth of Massachusetts (T. Jefferson Coolidge sold his interest in the land to James Lawrence on December 28, 1872). The lot purchased by Edward Grew was 32 feet wide. He had his home built on the eastern 30 feet, and sold the western 2 feet on January 28, 1884, to Edward Galloupe, who combined it with a 25 foot lot. It remained vacant until 1906 when 189 Marlborough was built. Click here for an index to the deeds for 185 Marlborough. On June 16, 1886, Edward Grew transferred the property into his wife’s name. The Grews three surviving sons — Randolph Clark Grew, Henry Sturgis Grew, II, and Joseph Clark Grew — lived with them. Henry Sturgis Grew, II, married in November of 1897 to Ethel Gertrude Hooper. After their marriage, they lived in an apartment at 330 Dartmouth and then at 254 Marlborough. He was a banker. Joseph Clark Grew joined the US diplomatic corps in 1904 and served in Cairo. He married in October of 1905 to Alice de Vermandois Perry. He subsequently served in various diplomatic posts, including as ambassador to Denmark and to Switzerland, Under Secretary of State in the Coolidge administration, ambassador to Turkey, ambassador to Japan at the time of Pearl Harbor, and again Under Secretary of State in the Roosevelt administration. Edward and Annie Grew appear to have separated in about 1911. Annie Grew and Randolph Clark Grew, a stockbroker, continued to live at 185 Marlborough, and Edward Grew lived in Manchester. During the 1912-1913 winter season, he also lived at the Copley Plaza Hotel, and during the 1913-1914 season at 447 Beacon. He died in Manchester in January of 1916. Annie Grew continued to live at 185 Marlborough until her death in November of 1924. 1n her will, she left 185 Marlborough to Randolph Grew, who continued to live there. Randolph Grew married in May of 1928 to Helen (Jones) Coffin, the former wife of Milton Tristram Coffin. 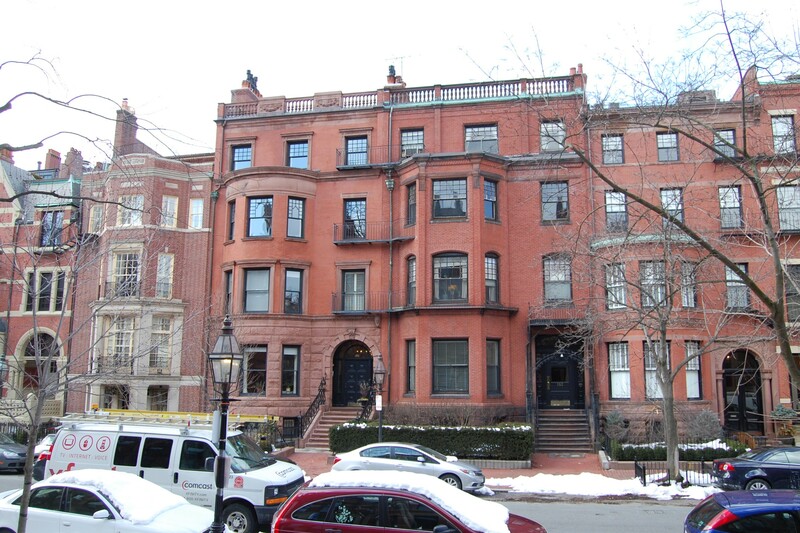 After their marriage, they lived at 185 Marlborough and also maintained a home in Manchester. Helen Grew’s daughter by her prior marriage, Eugenie, lived with them and took the name Grew. In December of 1934, she was the target of a kidnapping threat. Eugenie Grew continued to live with Randolph and Helen Grew until her marriage in August of 1937 to Alexander Cochrane. After their marriage, they lived at 87 Pinckney. Randolph Grew died in June of 1947. 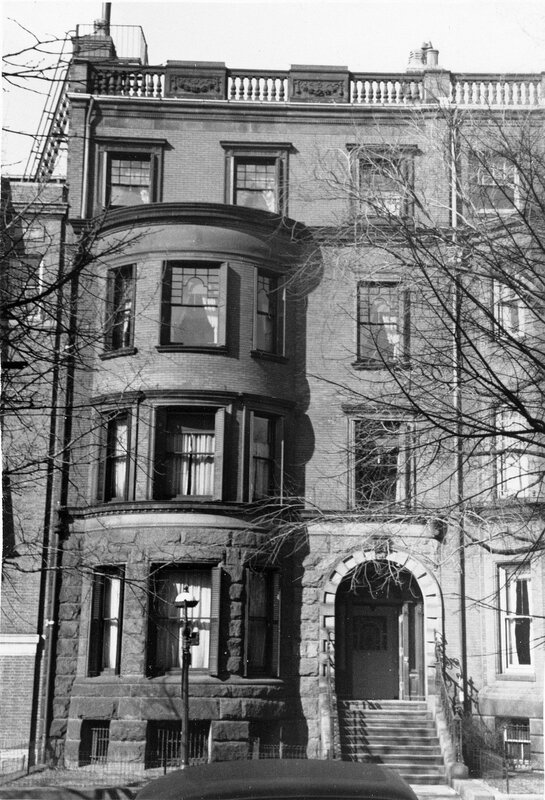 Helen Grew continued to live at 185 Marlborough until about 1949. On February 8, 1950, 185 Marlborough was purchased from Randolph Grew’s estate by Michael (Max) Lilly of the Lilly Construction Company. He also owned 183 Marlborough. 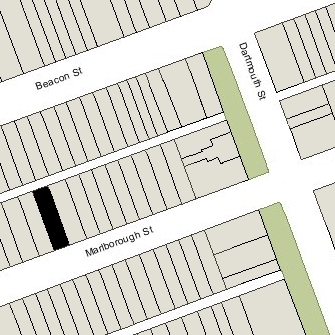 In December of 1949, prior to taking title to 185 Marlborugh, he had filed for (and subsequently received) permission to convert 185 Marlborough from a single-family dwelling into nine apartments. 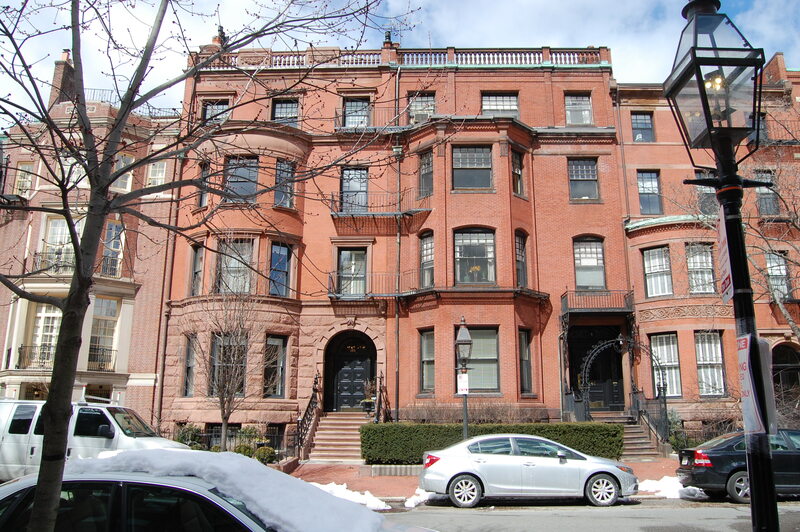 He filed an identical application for 183 Marlborough on the same day. On March 3, 1969, Chesterfield Realty transferred 185 Marlborough to Edward Swartz and his brother, Robert Swartz, as trustees of the Chesterfield Realty Trust. Edward Swartz died in May of 1972, and on November 15, 1872, Robert Swartz, as surviving trustee of the Chesterfield Realty Trust, transferred 185 Marlborough to a trust established under his will. On May 3, 2007, 185 Marlborough was purchased from the trust by the 185 Marlborough LLC (Michael D. Durand, president). On February 27, 2008, it filed for (and subsequently received) permission to convert the property from ten to five apartments. 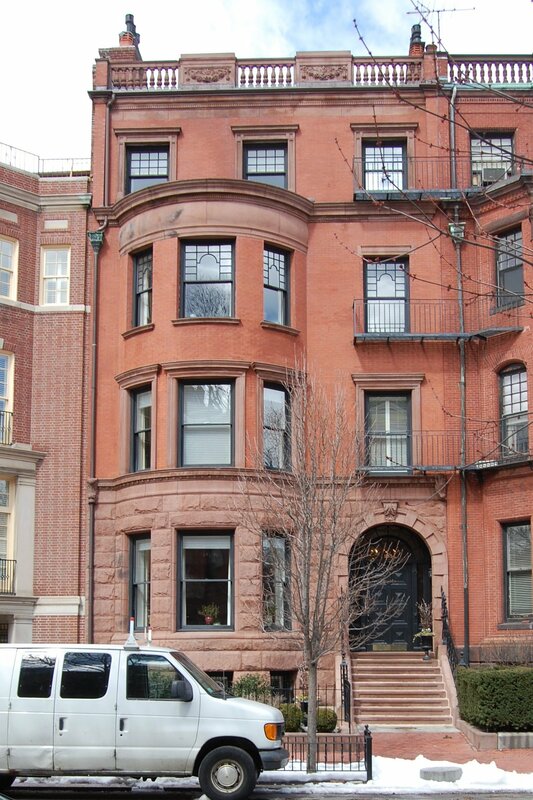 On July 31, 2009, 185 Marlborough LLC converted the apartments into five condominium units, the 185 Marlborough Street Condominium.